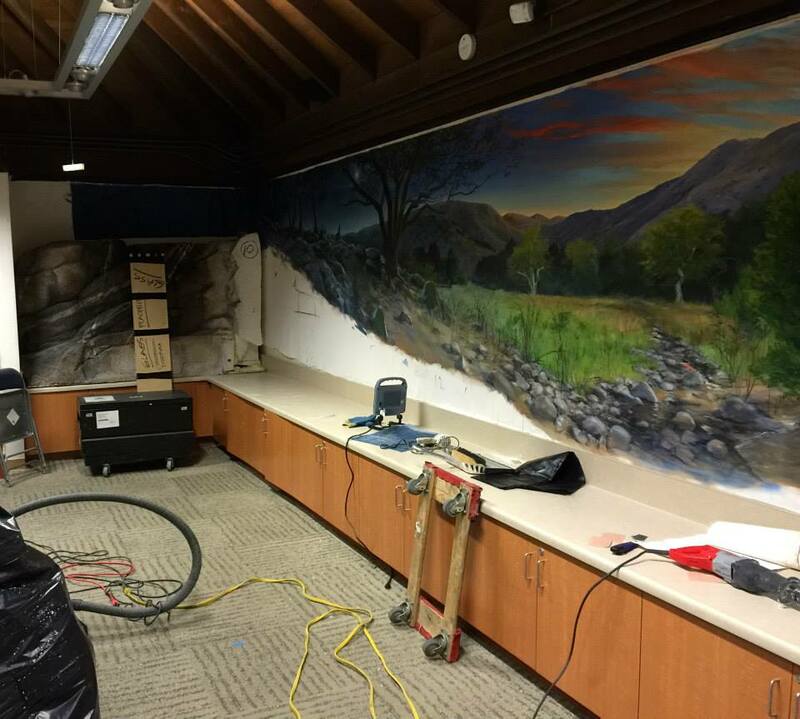 SCVHistory.com | Placerita Canyon State Park | Installation of Exhibits, New Interpretive Center, Dec. 2014. 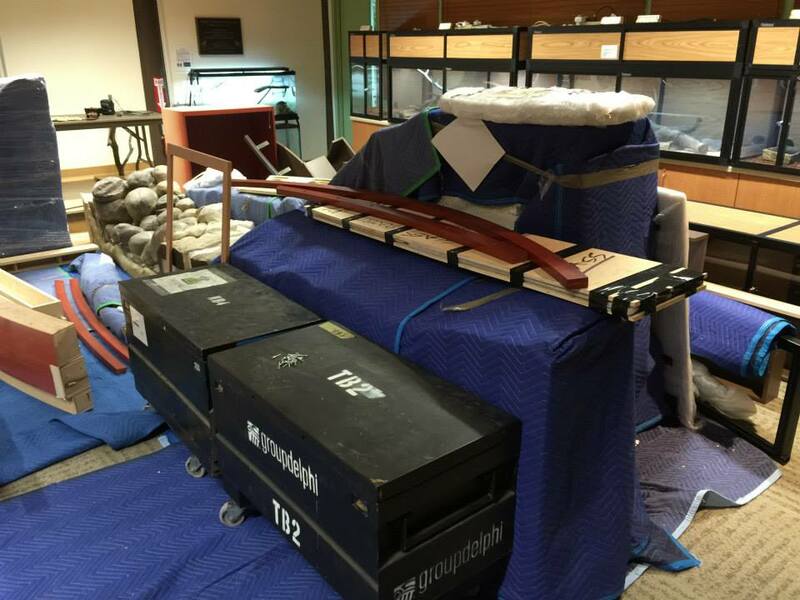 Installation of Exhibits, Placerita Canyon Interpretive Center 12/2/2014 Exhibits fabricated in Alameda and shipped in crates to Placerita for reassembly. Photo: Ron Kraus. 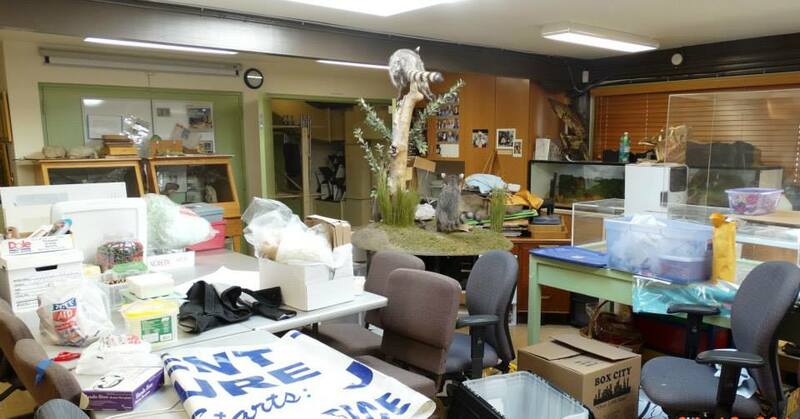 Installation of Exhibits, Placerita Canyon Interpretive Center 12/2/2014 Future taxidermy exhibit, "Day Into Night." Photo: Ron Kraus. 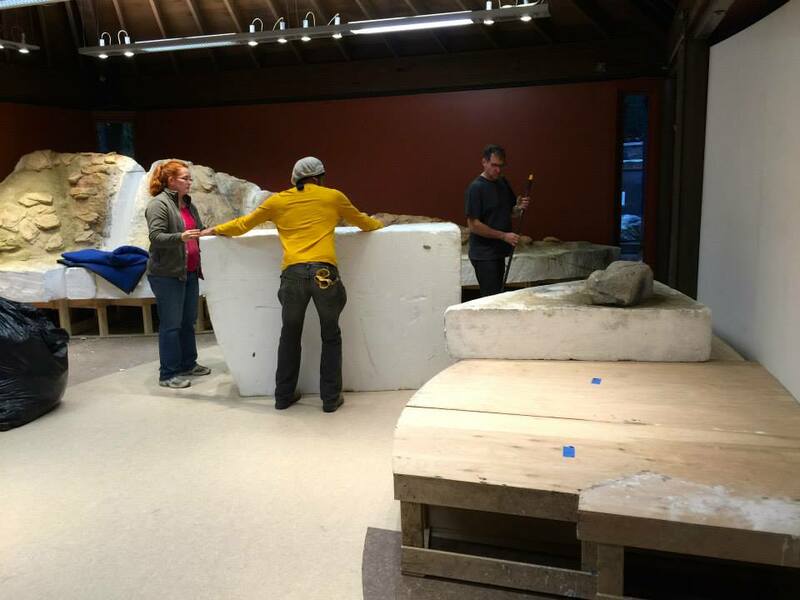 Installation of Exhibits, Placerita Canyon Interpretive Center 12/2/2014 Installation team from Group Delphi. Photo: Ron Kraus. Installation of Exhibits, Placerita Canyon Interpretive Center 12/2/2014 Vegetation fabricated for the exhibits. Photo: Ron Kraus. 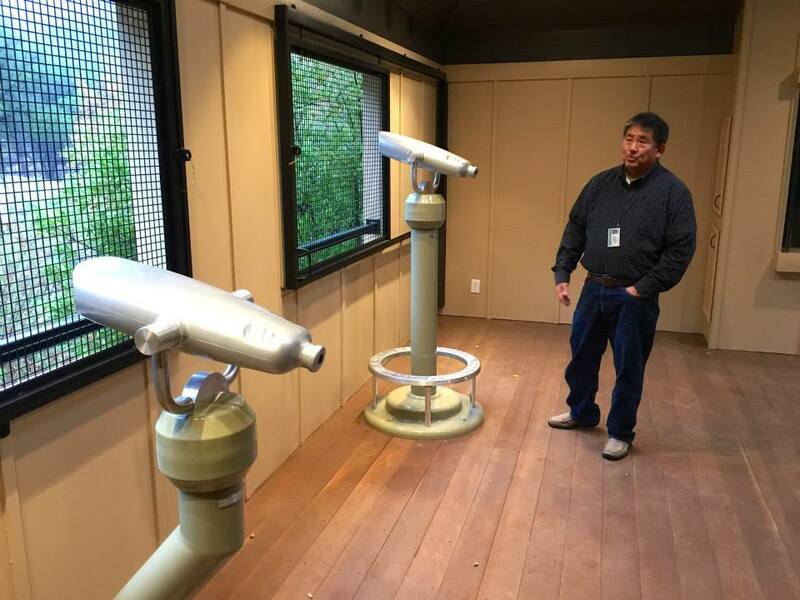 Installation of Exhibits, Placerita Canyon Interpretive Center 12/2/2014 Park Supervisor Russ Kimura with new telescopes in the refurbished observation deck. Photo: Ron Kraus. 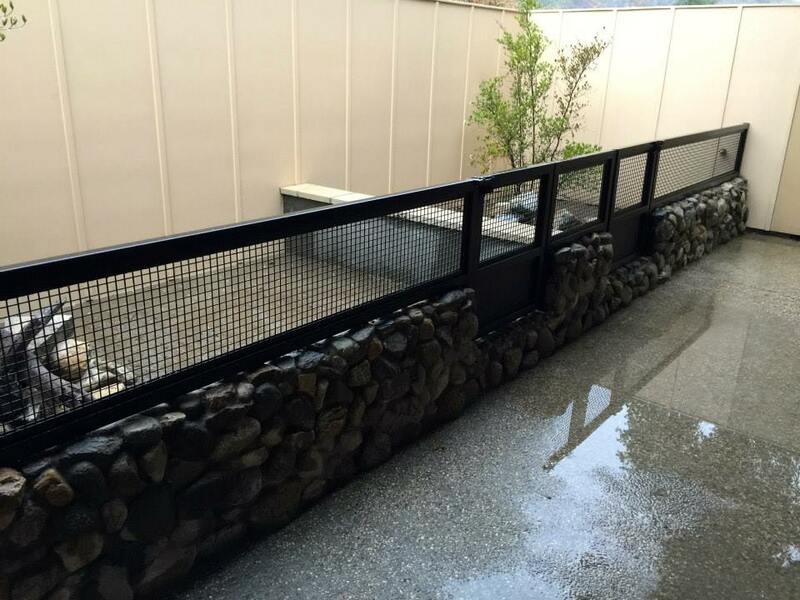 Installation of Exhibits, Placerita Canyon Interpretive Center 12/2/2014 Tortoise enclosure on the refurbished patio. Photo: Ron Kraus. 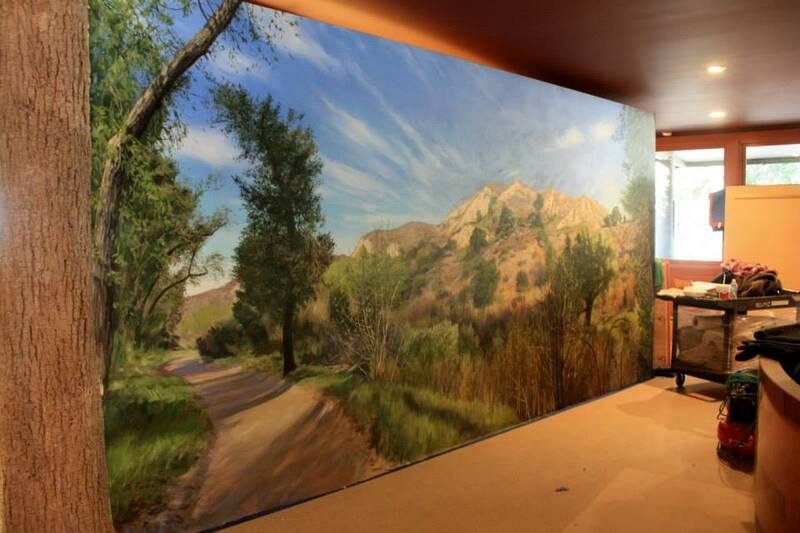 Installation of Exhibits, Placerita Canyon Interpretive Center 12/4/2014 Entry foyer mural. Photo: Ron Kraus. 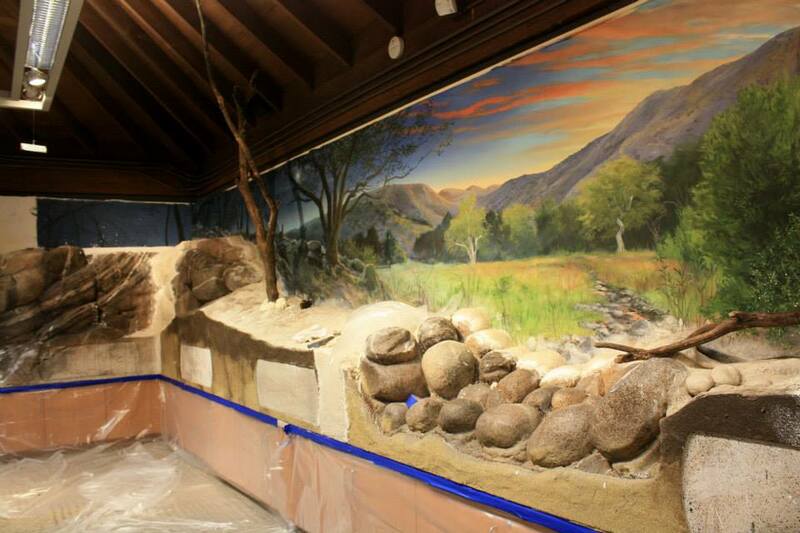 Installation of Exhibits, Placerita Canyon Interpretive Center 12/4/2014 Classroom taxidermy exhibit mural. Photo: Ron Kraus. 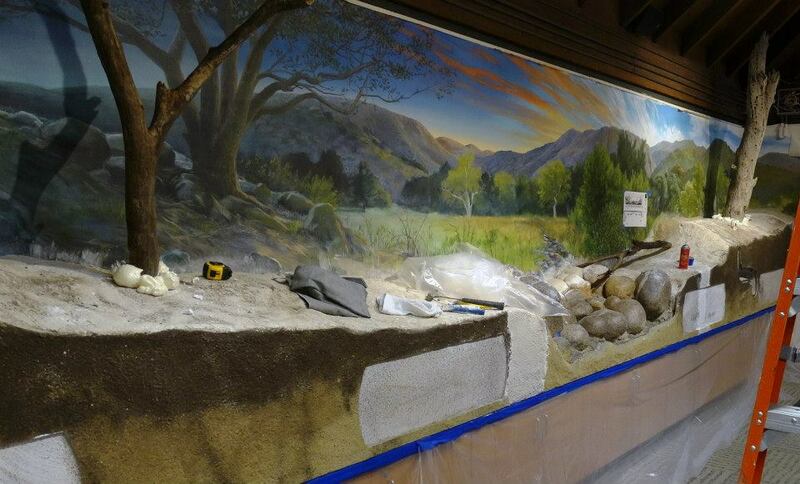 Installation of Exhibits, Placerita Canyon Interpretive Center 12/6/2014 Classroom taxidermy exhibit mural. Photo: Evelyne Vandersande. 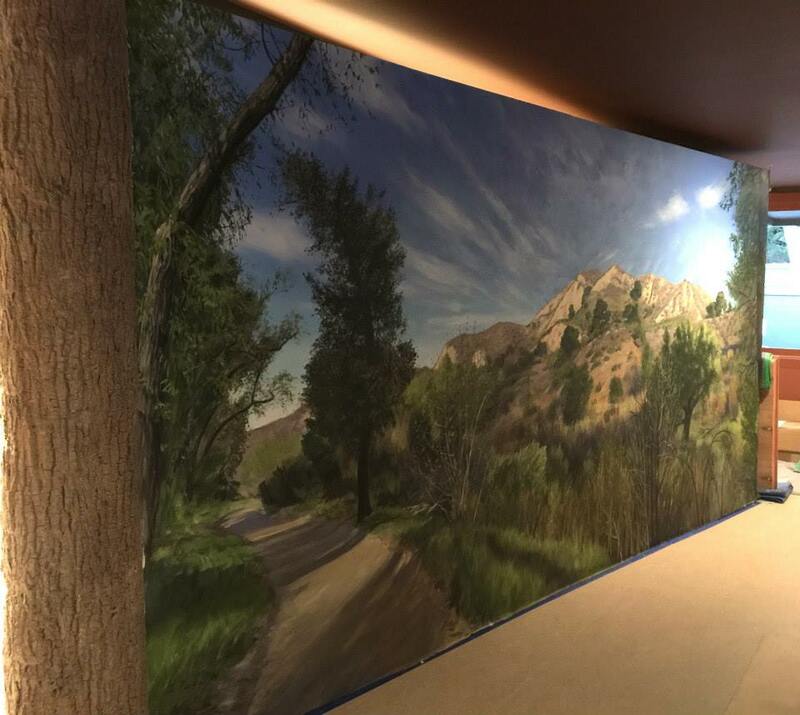 Installation of Exhibits, Placerita Canyon Interpretive Center 12/6/2014 Entry foyer mural. Photo: Evelyne Vandersande. 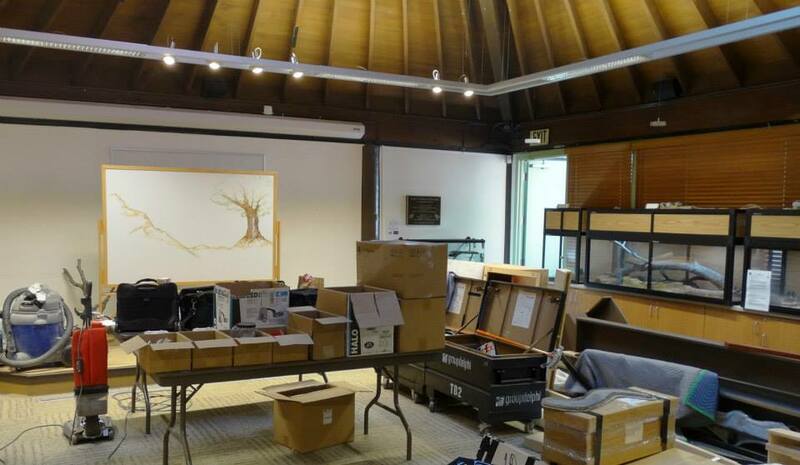 Installation of Exhibits, Placerita Canyon Interpretive Center 12/6/2014 Photo: Evelyne Vandersande. 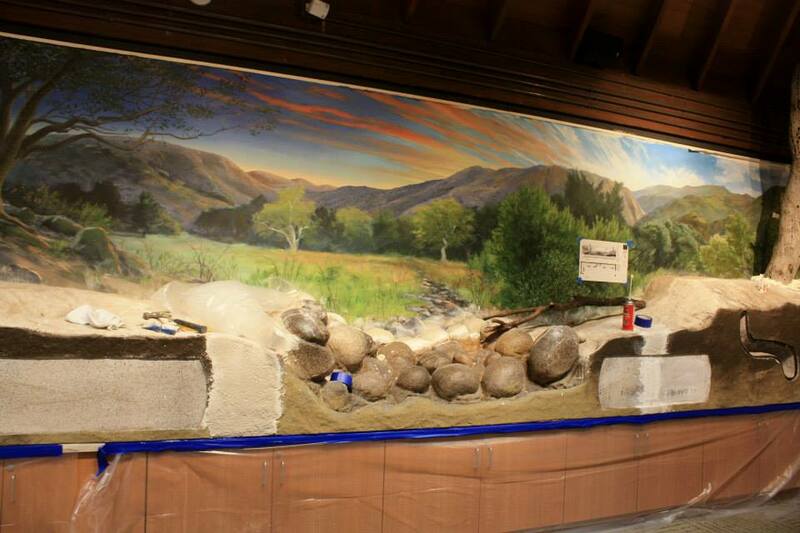 Installation of Exhibits, Placerita Canyon Interpretive Center 12/6/2014 Diorama of Placerita Canyon in Frank Havore Classroom. Photo: Paul A. Levine. 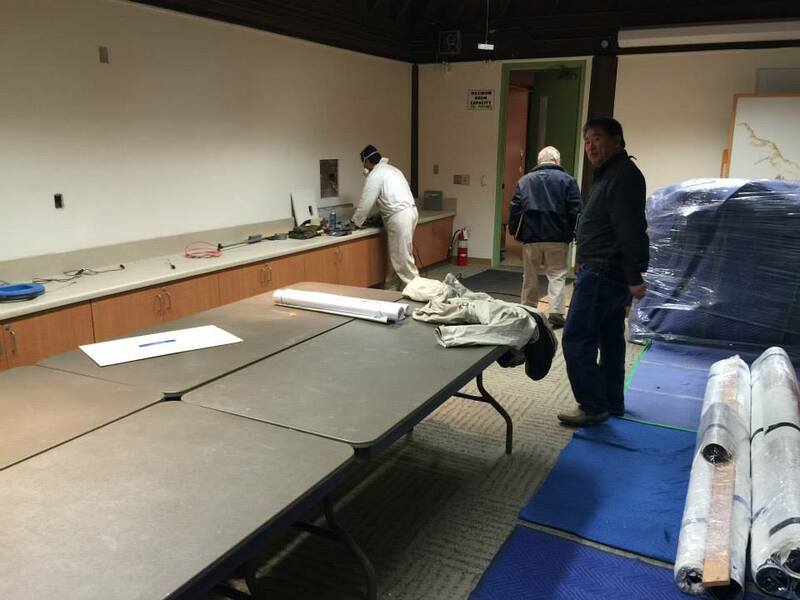 Installation of Exhibits, Placerita Canyon Interpretive Center 12/6/2014 Frank Havore Classroom. Photo: Paul A. Levine. 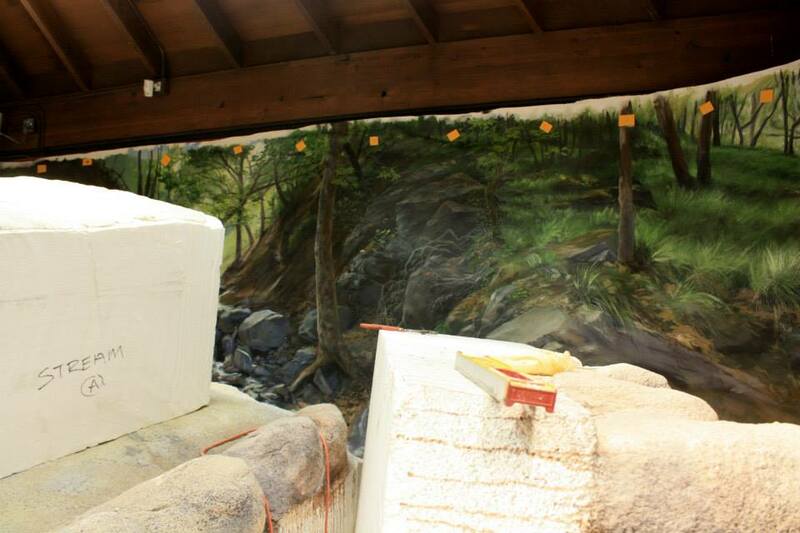 Installation of Exhibits, Placerita Canyon Interpretive Center 12/6/2014 Photo: Paul A. Levine. 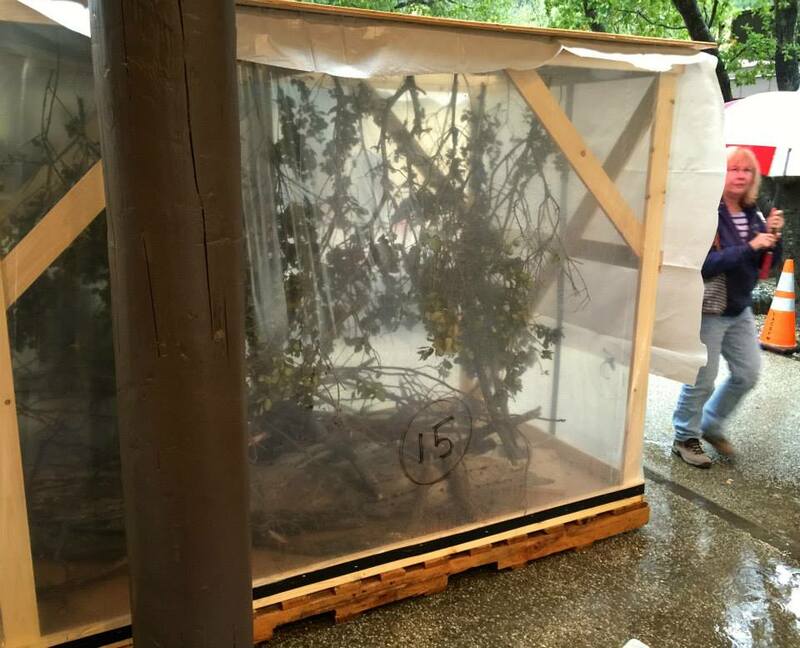 Installation of Exhibits, Placerita Canyon Interpretive Center 12/6/2014 Beehive exhibit. Photo: Paul A. Levine. 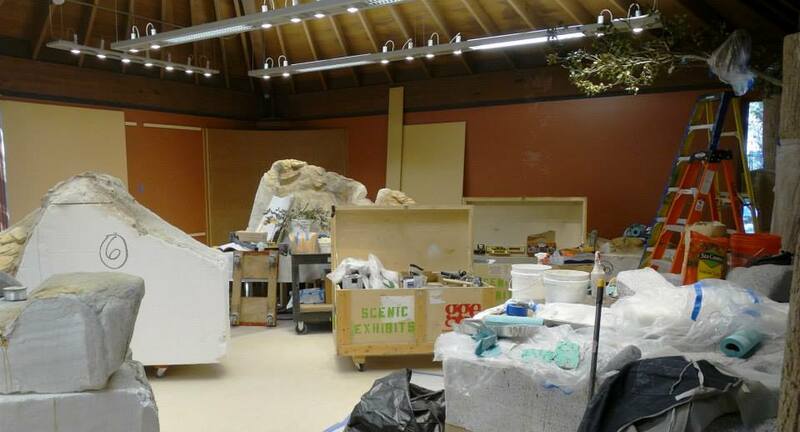 Installation of Exhibits, Placerita Canyon Interpretive Center 12/6/2014 Docents' room during museum exhibit installation. Photo: Paul A. Levine. 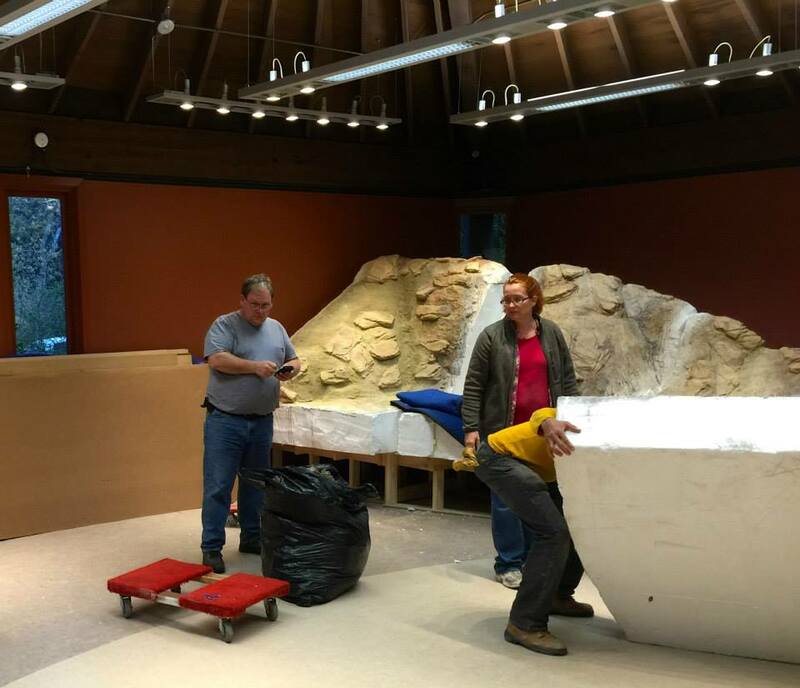 December 2, 2014 — Installation of the exhibits in the new Interpretive Center at Placerita Canyon State Park, operated by the County of Los Angeles Department of Parks and Recreation, began Tuesday, Dec. 2, 2014. 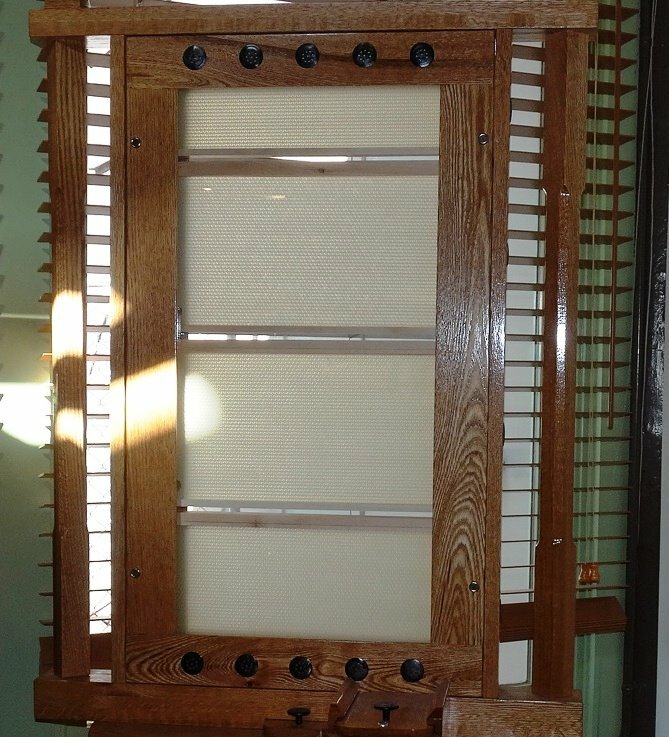 Exhibits were fabricated by the contrator Group Delphi at its 110,000-square-foot headquarters facility in Alameda; then they were crated and shipped to the park for reassembly. Further reading about the new Interpretive Center [here]. About Group Delphi: Tony Erpelding and Justin Hersh founded Delphi Productions in 1989, after realizing that, with their backgrounds in theater and love of storytelling, they inherently understood the "wow" moments that every museum wants to capture. As Delphi Productions grew, they added to their team to expand the company's museum exhibit offerings and experience. In 2009, Delphi Productions became Group Delphi after merging with Icon Exhibits of Fort Wayne, IN. Icon brought with it a long, respected 75-year history of museum production, working on the likes of the Auburn Cord Duesenberg Automobile Museum and the John Dillinger Museum. In 2011, with an eye on becoming the premier museum partner in the world, Group Delphi merged with General Graphic Exhibits (GGE). Founded in 1961, GGE had a reputation as the go-to fine arts partner for Bay Area artists and legendary photographers like Ansel Adams and Jim Marshall. 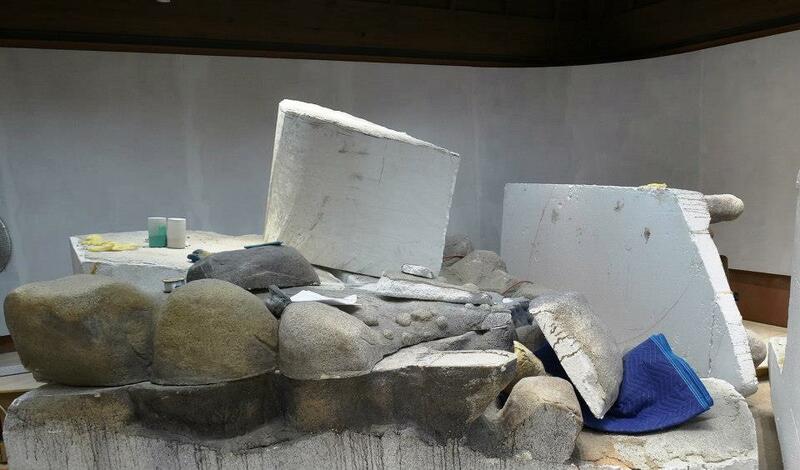 They were also well known for their museum exhibit work, including the Levi Strauss 150th Anniversary Pavilion. While many of the museum-specific GGE offerings came under the Group Delphi banner after the merger, General Graphics still operates as one of the best-known fine arts printing and mounting specialists in the country. The final piece of the puzzle came from Justin and Tony's forward-looking vision — adding advanced media, digital content, and AV integration skill sets to provide complete in-house capabilities. Group Delphi now proudly offers the ability to handle literally any museum project anywhere on the planet. Digital images by Ron Kraus, 12-2-2014.